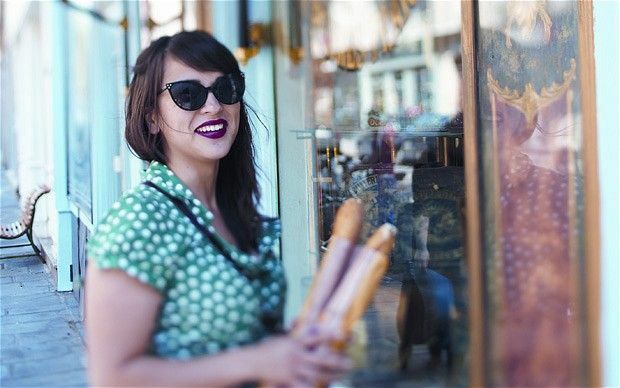 Rachel Khoo, British cook and television host of The Little Paris Kitchen, sheds light on where to eat like a local when in Paris. 4 Dec 2013 - 3:07pm Guide to French cheese... In The Little Paris Kitchen, Le Cordon Bleu-trained chef Rachel Khoo takes us on a tour of the City of Light, and cooks classic French recipes her way. This week I've been reading and cooking recipes form The Little Paris Kitchen: 120 Simple but Classic French Recipes by Rachel Khoo. I thought this book might be a little more like My Berlin Kitchen and Apron Anxiety, but it's less of a memoir and more of a recipe book than the two others. You have the power to keep us cooking, sharing these stories, and helping you in the kitchen. Donate today for as little as $5.00 a month . Your gift only takes a few minutes and has a lasting impact on The Splendid Table. Rachel Khoo’s Lemon Meringue Tartlets I love Rachel Khoo – she is a food writer/chef who has a TV show called ‘The Little Paris Kitchen’ where she runs a two-table restaurant from her tiny Paris apartment (now closed).